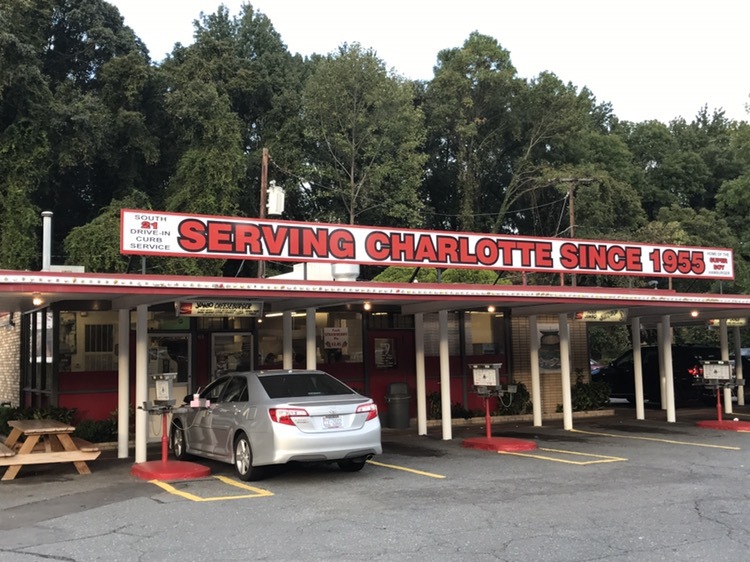 Going back to the original Hamburger America list, as we were driving through Charlotte this evening we swung into South 21 for a quick dinner. “Swung in” is a bit of an understatement as it involved an exit, a u-turn and a return onto a divided six-lane highway, but you get the idea. 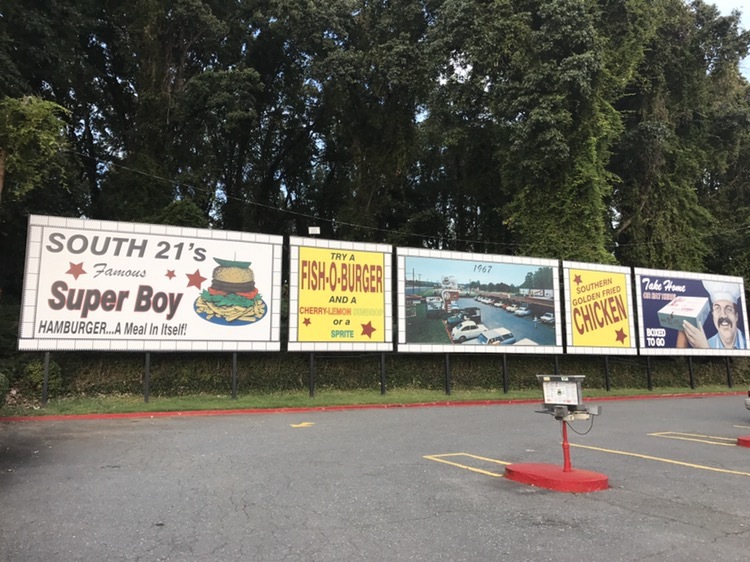 and are a classic drive-in, with space for around 60 cars. We pulled into a space on the back side of the row to the left (so we could watch traffic) and studied the menu. 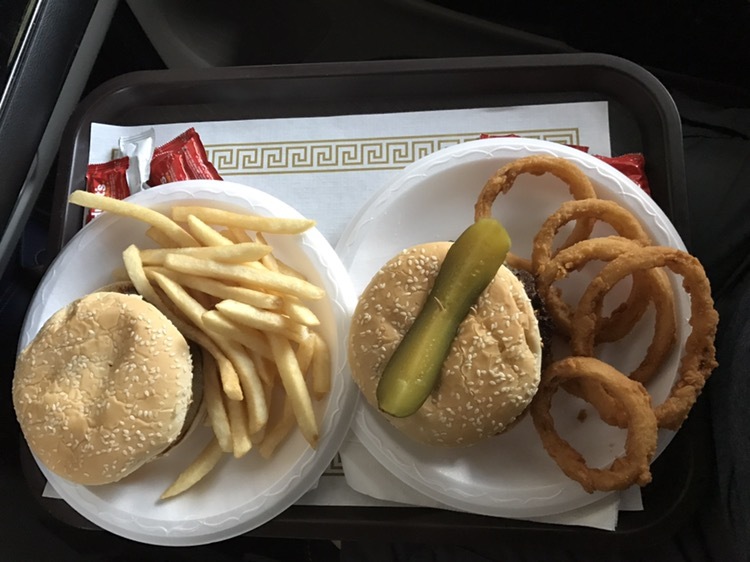 We both chose a jumbo cheeseburger, one with rings and one with fries (and no pickle). Everything is made to order, but as the burgers are really thin, I can’t imagine waiting more than ten minutes if no one else was there. 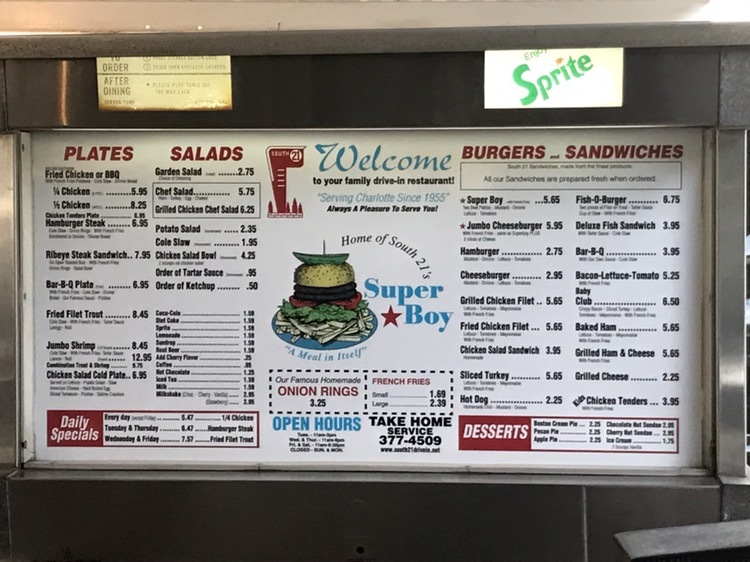 Our order took about five minutes, and the burgers were what “fast food” was decades ago. Hot and fresh. We talked with the couple who pulled in next to us as I was throwing away the trash. 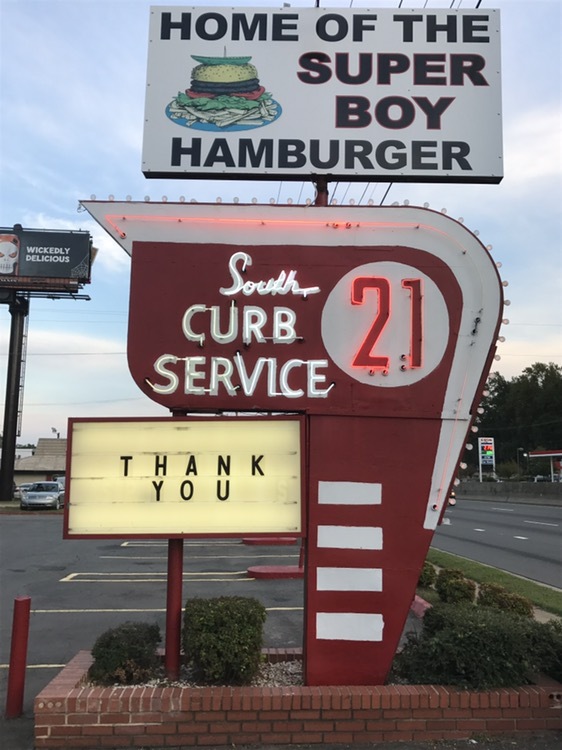 They said they’ve been going to South 21 on Friday nights since the 60s. Tonight, they were there, in their 60s, with a grandchild. It’s good to have constants in your life.